The Glo-Bus financial screen is quite interesting in terms of business simulations. 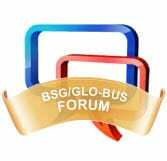 In relation to Glo-Bus’s big brother, BSG, Glo-Bus focuses upon cash flow for each quarter instead of annual year ends. This makes the game rather interesting as it becomes a balancing act of always having enough money for each of the 4 quarters, while still paying down debt. The correct way to do this screen is to basically pay off as much debt as possible while leaving enough a bit more than enough to cover the year’s expenses. Some company’s think that it is smart to carry a large cash balance, but that’s the equivalent of putting all your personal money into a “checking” account and not paying off your credit card bill. Paying off debt is paramount in Glo-Bus and does wonders for your credit rating when combined with a decent net profit. 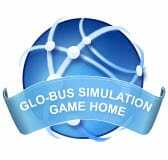 Unlike other simulations, Glo-Bus has a very finite amount of ways to spend cash, very rarely will you need to open up new workstations, you will not be required to make any significant upgrades, it is best to use existing cash in the current account to dramatic effect which is best used by paying off debt and continually keeping interest rates low. If in the event that money is required in one year, it is an easy task to go into the operating line and borrowing the amount. 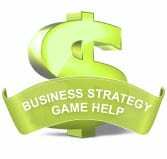 But it is important to not think that the interest gained from large cash balances warrants keeping large amounts of cash on hand and debt seemingly allowed to persist. For more help email contact us.